Valentine’s Day is the ultimate holiday for boudoir photographers. It’s a time for love, lust, sexiness and a little cheekiness thrown in for good measure. We’ve already created Valentine’s Day page sets for you, but here are also four photo shoot ideas just for boudoir photographers! The less you reveal, the more they can wonder. The glamorous boudoir shoot is for the more out-there lady. It’s a fantastic choice for those that want to add a little bit of fantasy to their boudoir experience. Maybe it’s your client’s only opportunity to wear a fairytale ball gown or to be a siren from the golden age of Hollywood in a corset and sheer vintage robe? It’s an extravagant, glorious, indulgent type of boudoir photography. A bridal boudoir shoot not only makes the ultimate Valentine’s gift for a groom-to-be but is also the perfect celebration of impending married life, and a salute to the single years. There are lots of ways to make a bridal boudoir shoot special for the bride. 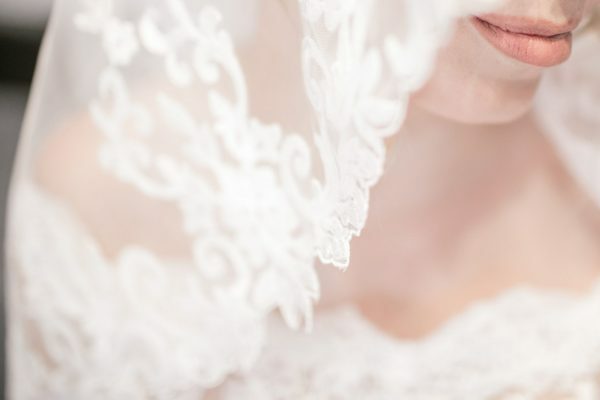 You could capture some really gorgeous images of your client in their veil and bridal lingerie. You can also take the opportunity to make the shoot significant for the husband-to-be by using specific props. Maybe the groom is a die-hard music fan, could the bride pose with his guitar? Or does he support a particular sports team? Maybe a team shirt is the outfit of choice. A pin-up boudoir session is a fantastic shoot to offer. This style has really gained in popularity in recent years, especially due to the rise in popularity of vintage fashion and beauty. This is also the perfect shoot choice for those with a love of retro style or for those clients looking for a cheekier atmosphere. Also is there a better time for a pin-up than Valentine’s Day? We’re thinking pink and red hues, vintage sweets and retro props. Boudoir is an intimate area of photography so make sure that your client’s images are safeguarded. You can set up an access code only client area, ensuring that your client’s images are private until the correct password is entered. If you would like to know more about boudoir photography, or perhaps have just started out in the field, check out our guide to boudoir photography.